BUFFALO, N.Y. -- U.S. Attorney James P. Kennedy, Jr. announced today that Searcy E. Fields pleaded guilty before U.S. District Judge Lawrence J. Vilardo to conspiracy to possess with intent to distribute, and to distribute, five grams or more of methamphetamine. The charge carries a mandatory minimum penalty of five years in prison, a maximum of 40 years, and a $5,000,000 fine. Assistant U.S. 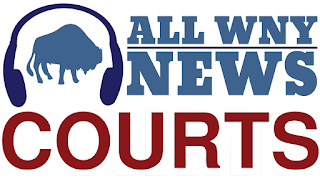 Attorneys Patricia Astorga and Emmanuel Ulubiyo, who are handling the case, stated that the defendant pleaded guilty for her role in a Jamestown methamphetamine conspiracy. On May 22, 2018, Fields sold 15 grams of methamphetamine to an individual working with law enforcement. In a recorded conversation, the individual asked the defendant for half an ounce of methamphetamine. Fields responded that she had “a little H” (heroin) but did not have “that much ice.” The defendant then called and got the methamphetamine from co-defendant Destiny Hare and Andrew Bennett. Fields was indicted along with 14 other defendants including: Destiny Hare; Zackiel Fields, Jr.; Ernest Cauley, Jr., a/k/a L.A., a/k/a Ernie; Jamell Trapp, a/k/a K.S. ; Ramael Fields; Stephanie L. Harrison; Marcus Martin Bowman; Danny W. Michael, Ill; Alexis V. Hall; Destiny J. Hare; Andrew C. Bennett; Jacob A. Motherwell; Michael A. Davis; and Stacie N. Yancer. The fact that a defendant has been charged with a crime is merely an accusation and the defendant is presumed innocent until and unless proven guilty. Fields is the first defendant to be convicted. During the execution of search warrants throughout the investigation, law enforcement officers recovered 10 firearms and multiple rounds of ammunition, over 20 cellular telephones, drug paraphernalia, and U.S. currency. In a related case, a detention hearing was held this morning for Bobby Hunt, Jr. and Amy Dean. Although not charged in the drug case, Hunt and Dean were charged with conspiracy to retaliate against witnesses, witness retaliation, and taking action harmful to a witness, after they threatened someone they believed to be a cooperating with the government in its case against the Jamestown methamphetamine conspiracy. U.S. Magistrate Judge H. Kenneth Schroeder ordered the defendants detained. In seeking to have Hunt and Dean detained, the Government presented a series of threatening social media posts and voicemail messages, and information regarding the assault of a woman the defendants believed to be cooperating with law enforcement in the investigation. As a result of that assault, the woman suffered a miscarriage. Today’s plea and the charges against Hunt and Dean are the result of an investigation by the Federal Bureau of Investigation, under the direction of Special Agent-in-Charge Gary Loeffert, the Drug Enforcement Administration, under the direction of Special Agent-in-Charge James J. Hunt, New York Field Division, and the Jamestown Police Department, under the direction of Chief Harry Snellings.